The very first use of the term 'Hall of Fame' came about in 1900 with the creation of the Hall of Fame for Great Americans, part of the original New York University. The movement to create other halls of fame dedicated to various disciplines accelerated in the 1930's. On June 12, 1939, Judge Kenesaw Mountain Landis, commissioner of Major League Baseball, announced, "I now declare the National Baseball Museum and the Baseball Hall of Fame in Cooperstown, New York - home of baseball  open!" Fifteen thousand baseball fans applauded furiously and jostled each other to be among the first to step through the doors of the newly-opened baseball shrine. Such a momentous occasion prompted a thought amongst hockey people: why shouldn't we have a similar hall of fame for our sport?!? The idea resonated, with former hockey great 'Cyclone' Taylor, who was one of the more vocal proponents for such an institution. 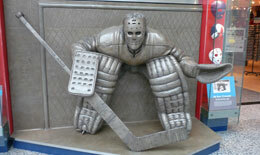 The first references to a "mythical hockey hall of fame" were published in December 1940 by the Montreal Gazette. On April 17, 1941, the Canadian Amateur Hockey Association (CAHA), accepting a motion made by Captain James T. Sutherland, appointed a three-man committee to study the origins of the game of hockey. Sutherland, residing in Kingston, Ontario, had played hockey with the Athletic Club of Kingston in the first officially recognized hockey league. In 1910, after forming the Kingston Frontenacs, a junior team that was part of the Ontario Hockey Association, he was appointed a district representative for the league, and rose through the executive ranks to the role of president by 1915, a position he held for three years. During that same time, Captain Sutherland served as president of the Canadian Amateur Hockey Association. Among his many accomplishments was the establishment of the Memorial Cup, a trophy honouring those men who gave their lives during the first Great War and emblematic of the junior hockey championship of Canada. Through his entire hockey life, Captain Sutherland claimed that Kingston was the birthplace of hockey. "Historians are said to differ considerably on the place in which the great Caesar first saw the 'light of day,' and similarly in respect to the birthplace of Canada's national winter sport, hockey," stated Sutherland. "There may be some who still claim sundry and diverse places as being the authentic spot or locality. Whatever measure of merit the claim of other places may have, I think it is generally admitted and has been substantially proven on many former occasions that the actual birthplace of organized hockey is the city of Kingston, in the year 1888." Although Sutherland had the year wrong (it was 1886), he based his claim on a game played between Queen's University and the Royal Military College at Dix's Rink, on the harbour in front of Kingston's municipal buildings. In the early 1940's, Sutherland was a driving force behind the establishment of a hall of fame for hockey. The Montreal Gazette reported on April 25, 1941, that a movement had begun "started by Fred Corcoran to have something similar for hockey now that baseball and golf have their own hall of fame." That November, the idea had garnered enough interest that Leo Dandurand, owner of the Montreal Canadiens between 1921 and 1935, and a key sporting figure in Montreal, discussed the idea of a hall of fame with the National Hockey League. referred to as the "Father of Hockey"
Largely due to Sutherland's convincing arguments claiming Kingston as hockey's birthplace, the CAHA and the NHL agreed to establish a Hockey Hall of Fame in that city. 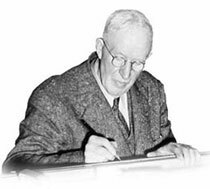 In a meeting held September 10, 1943, Kingston's mayor, Stuart Crawford, was elected president of the newly-established Hockey Hall of Fame. 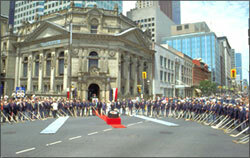 Construction was delayed by exorbitant building costs, but the Hockey Hall of Fame continued to induct Honoured Members, although not annually. The next flight, taking place in 1947, included a number of players and builders, including two of the people who had furthered the dream of a Hall of Fame for hockey -- 'Cyclone' Taylor and Captain James T. Sutherland. On September 30, 1955, Sutherland died, never seeing the realization of his vision. Mired in bureaucracy and lacking funds, building the Hockey Hall of Fame in Kingston still had not begun. By 1958, NHL President Clarence Campbell grew impatient with the delays and withdrew the NHL's support of Kingston as home for the Hall of Fame. Instead, a decision was made to locate the permanent home of the Hockey Hall of Fame in Toronto. The Kingston organizing committee reeled with the news, but continued their quest begun by Captain Sutherland. 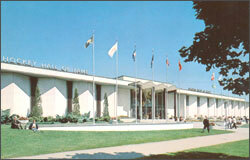 In 1965, they opened the Hockey Hall of Fame in Kingston (later to be named the International Hockey Hall of Fame). 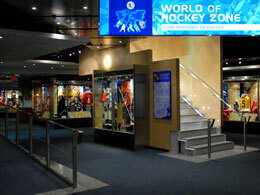 Click Here to visit the International Hockey Hall of Fame online. Toronto was a natural location for the Hockey Hall of Fame. In fact, there was a predecessor of sorts already in existence. In 1947, Harry Price, the chairman of the Sports Committee for the Canadian National Exhibition (CNE), traveled across Canada to enlist support in constructing a museum dedicated to Canadian athletes and their achievements. On August 24, 1955, Canada's Sports Hall of Fame held its opening ceremonies in a building on the CNE grounds that had once housed the Stanley Barracks, ironically, named after Lord Frederick Stanley, who donated hockey's magnificent Stanley Cup. 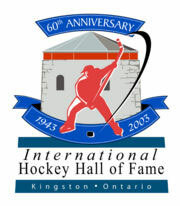 Canada's Sports Hall of Fame included a National Hockey Hall of Fame, and included twenty-three players and ten builders, all of whom had first been elected to the Hockey Hall of Fame in Kingston. Having transferred allegiance to Toronto in 1958, and receiving the official support of the CAHA that same year, the NHL honoured the forty-two players and builders who had up to that point been inducted into the homeless Kingston shrine at a ceremony attended by all but three of the thirty-four living inductees. Each received a scroll to commemorate their achievements in and for hockey. Conn Smythe, former manager of the Toronto Maple Leafs and chairman of the NHL owners' committee, led the charge to get a site built for the Hockey Hall of Fame. Lobbying the NHL and the other owners, Smythe found the resources to finance a new building on lands secured from the City of Toronto on the CNE grounds, and personally supervised construction of the building. The Hockey Hall of Fame invited Canada's Sports Hall of Fame to share its space in this new facility across from the Food Building. On May 1, 1961, construction of the building was completed. John Diefenbaker's ceremonial opening of the Hall of Fame at its Canadian National Exhibition location in 1961. 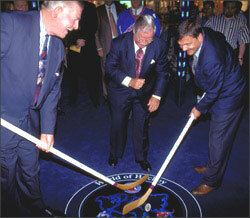 The Hockey Hall of Fame was officially opened on August 26, 1961. 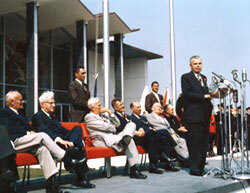 Canadian Prime Minister John Diefenbaker and United States Ambassador Livingston T. Merchant presided over the opening. "There is nothing greater than hockey to bring about national unity and a closer relationship between the United States and Canada," stated Prime Minister Diefenbaker at that time. The Hockey Hall of Fame enjoyed landmark visitation during the annual twenty day-run of the CNE, but was unable to charge admission during that period. Visitors during the remainder of the year didn't cover the cost of operating the business. By the mid-1980's, the Hockey Hall of Fame was costing the NHL over $300,000 a year, with maintenance costs escalating rapidly. Then-NHL president John Ziegler took the leading role in finding a new location. "We agreed that if we were going to plan on a new leading edge facility, it would have to serve not only as a museum but also as a place where fans could have fun and interact with the exhibits," he recalled. In its inaugural year, the Hockey Hall of Fame drew over 750,000 visitors. The NHL's former Vice President of Officiating, Scotty Morrison, was selected as Vice President of Project Development, heading a committee to propose locations, assisted by Steve Ryan, the president of NHL Enterprises, Ken Sawyer from the NHL's financial department and Norm Green, one of the owners of the Calgary Flames. Although several cities bid on the opportunity to be home to the Hockey Hall of Fame, it was finally agreed that the Hall should remain in Toronto. Having outgrown its CNE location, the committee searched for an appropriate new location, deciding on an empty but highly impressive heritage building located at the corner of Yonge and Front in Toronto's downtown core. 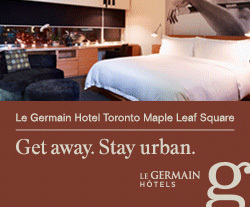 "We agreed that the location would provide unparalleled ease of recognition and accessibility, situated only a short walk from Union Station, Toronto's central commuter hub," said Ziegler. As part of an agreement with the City of Toronto, the developer (BCE Place) was obligated to restore the building to its original splendour and make it available to a non-profit, cultural institution. The Hockey Hall of Fame was an ideal candidate, and both BCE (Bell Canada Enterprises) and the City of Toronto's Land-Use Committee agreed to the new tenants. The magnificent building, constructed in 1885 as the head office of the Bank of Montreal, replaced a smaller bank that had existed on that site since 1845. Designed by Darling and Curry, the architects who had recently completed the equally august Victoria Hospital for Sick Children on College Street, the Bank of Montreal's head office was the most striking of Toronto's nineteenth-century bank buildings. Astonishingly, the building was one of but a few in the area to survive Toronto's Great Fire of 1904. The blaze, reportedly begun by a stove left burning at the end of the workday on April 19, 1904 at the E. & S. Currie neckwear factory on the north side of Wellington Street near Bay, destroyed the vast majority of the district bounded by Yonge to the east, Bay to the west, Front to the south and Wellington to the north. From its completion in 1885, the building served as the Bank of Montreal's head office until 1949, when they moved to a location at King and Bay, with the Yonge and Front location continuing as a branch until it was closed in 1982. The heritage building sat largely unused until the latter part of that decade, when it was renovated and included in the development of Brookfield Place (formerly BCE Place). Although it was destined at one point to be an art gallery, the building was dormant until it was secured by the Hockey Hall of Fame as a new location for the ever-expanding shrine to hockey excellence. Nearly every living Honoured Member was on hand to open the Hockey Hall of Fame's new location at BCE Place now Brookfield Place in downtown Toronto. On June 18, 1993, the Hockey Hall of Fame officially opened at its extraordinary, new home at BCE Place now Brookfield Place. The state of the art facility, renovated at a cost of $27 million, was the integral reason that the Hockey Hall of Fame has emerged as the innovative leader among sporting shrines. In its first year of operation at the new location, more than 500,000 guests visited the Hall of Fame, far exceeding the 325,000 projected. 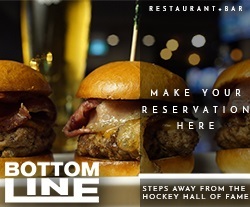 As a forerunner in the Sports Hall of Fame industry, the Hockey Hall of Fame has succeeded in diversifying its business to include thriving hospitality, retail, licensing, educational and outreach programs. An independent corporation without share capital and a registered charity under the Income Tax Act (Canada), the property, business and affairs of the Hockey Hall of Fame (including the appointment of members of the Hockey Hall of Fame Selection Committee) are managed by a board of 18 directors nominated by the following entities: City of Toronto (3), Executive Committee of the Board (5), Hockey Canada (1), International Ice Hockey Federation (1), National Hockey League (7), and USA Hockey (1). (from left to right) Bill Hay, HHOF Chairman and Chief Executive Officer, Scotty Morrison, former HHOF President, and René Fasel, President of the International Ice Hockey Federation, launch the "Tissot World of Hockey Zone"
Through a significant contribution and alliance agreement with the International Ice Hockey Federation (IIHF), the Hockey Hall of Fame opened the "Tissot World of Hockey Zone", a 3,500 square-foot area dedicated to the global game, including World and Olympic competition and profiles on all IIHF Member Countries. The IIHF's initial contribution also supported the relocation and expansion of the existing HHOF resource centre and archive facility. The Tissot World of Hockey Zone has undergone a series of further expansions and renovations since 1998, including the unveiling of the new IIHF Honour Roll exhibit, which pays tribute to the finest players and executives from around the world. 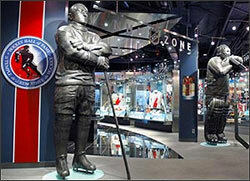 The NHL Zone was the final stage of Hockey Hall of Fame's ambitious revitalization plan. In keeping with its mandate to continually change and add exciting new features, the Hockey Hall of Fame allocated over $12 million on exhibit enhancements between the years 2000 and 2006 as part of its New Millennium Revitalization Plan. As a result, nearly every inch of the 57,000 square-foot facility, with the exception of the Verizon Great Hall and replica Montreal Canadiens dressing room, has been renovated since 1998, providing guests with a fresh new experience. The Hockey Hall of Fame is an outstanding combination of treasured artifacts, multi-media exhibits, interactive games, a showcase for hockey's Honoured Members and, of course, home of the Stanley Cup. Its focus reaches internationally, in part due to a partnership with the International Ice Hockey Federation (IIHF), but primarily due to the incredible growth of the game around the world. As the future unfolds, the Hockey Hall of Fame will continue to entertain and educate fans from all parts of the globe, all served with the common thread of excellence. Hockey Hall of Fame Chairman and CEO Bill Hay addresses the audience prior to the ribbon-cutting ceremony. 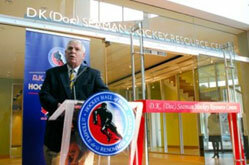 On September 8, 2009, Bill Hay, Chairman of the Hockey Hall of Fame unveiled the new state-of-the-art "D.K. (Doc) Seaman Hockey Resource Centre" within a new 4-pad arena complex developed by the Lakeshore Lions Club in partnership with the City of Toronto and Maple Leaf Sports & Entertainment Ltd., during the official opening ribbon cutting ceremony. Named in honour of the late Daryl K. (Doc) Seaman, one of the founding owners of the Calgary Flames who passed away in January 2009 at age 86, the 18,000 square foot facility is now the new home of the Hockey Hall of Fame's vast artifact and archival collections and will serve as the focal point for research into the history of Canada's great game and cultural export. In addition, Hockey Canada will occupy a portion of the Hall's premises with a resource centre to support grass roots development programming, along with high performance and sledge hockey events in conjunction with the adjacent ice facilities. D.K. (Doc) Seaman Hockey Resource Centre, located within the brand new, 4-pad arena complex. "We are thrilled to be a key partner in this wonderful new complex that provides much needed space to expand and preserve our valuable museum collections," said Hay. "I am especially proud of our association with the Seaman family through which this tribute to an outstanding Canadian and benefactor of grass roots hockey development in this country is made possible." Funded, in part, by contributions from the Seaman Hotchkiss Hockey Foundation, International Ice Hockey Federation, Department of Canadian Heritage and a group of ten individual donors forming the "HRCA Founders Committee", the $4.0 million resource centre is the most comprehensive archive and research facility in the world dedicated to collecting and preserving resource materials related to the history of hockey. In addition to serving thousands of correspondents, media, administrators, teams, players, fans, students, teachers, museums and libraries each year, it plays an integral role in the planning and development of the Hockey Hall of Fame's exhibition, outreach, fundraising and charitable activities. "The new resource centre will provide facilities to expand the Hall's commitment to research and education, as well as the application of digital technology for archiving, distribution and promotional purposes," said Philip Pritchard, Vice-President and Curator of the Hockey Hall of Fame. "It also allows us to consolidate our collections into a single satellite operation to better serve our principal museum attraction which continues to flourish at Brookfield Place." 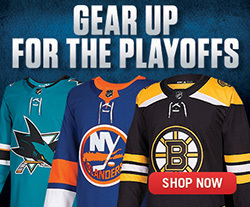 Tissot World of Hockey Zone. In addition, legendary goaltenders Johnny Bower and Billy Smith joined Hockey Hall of Fame staff to assist in the unveiling of a new sculpture based on Ken Danby's iconic painting titled "At The Crease". The larger-than-life relief sculpture is on permanent exhibition below the atrium in Sam Pollock Square at the entrance to the new "Spirit of Hockey" retail store. 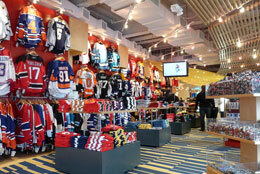 The all new Spirit of Hockey retail store. The Spirit of Hockey retail store is now housed in a newly integrated location at street level (adjacent to the Hall's historic bank building at Yonge and Front) and will provide patrons an enhanced shopping experience with an improved store layout and expanded selection of merchandise, including a new line of HHOF-branded apparel by Reebok. At approximately 6,000 square feet, the Tissot World of Hockey Zone celebrates the game of hockey globally through new areas honouring international legends, members of the Triple Gold Club (individuals who have won Olympic Gold, World Championship Gold and the Stanley Cup), the top 100 Moments in International Hockey (including Sidney Crosby's overtime Olympic gold medal-winning puck), and much more. The newly expanded Tissot World of Hockey Zone. "Our guests can explore a greater variety of international hockey exhibits along with an enhanced retail shopping experience," said Phil Pritchard, Hockey Hall of Fame Vice-President and Curator. "By relocating and expanding the Spirit of Hockey store to street level, valuable space was made available in the concourse to further showcase the game's global reach in the expanded Tissot World of Hockey Zone, now our largest dedicated exhibit area." Bill Hay, Chairman and CEO of the Hockey Hall of Fame (along with Imperial Oil Limited executives and HHOF Honoured Members officially unveil the "Esso Great Hall". 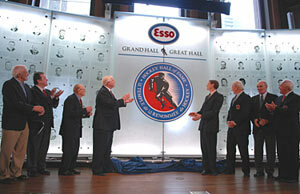 On Friday, March 9, 2012, Bill Hay, Chairman and CEO of the Hockey Hall of Fame (HHOF), along with Imperial Oil Limited executives and HHOF Honoured Members officially unveiled the "Esso Great Hall". As home to the Stanley Cup, all the major NHL trophies and recognition structures for individuals elected into Honoured Membership, the Hall's "cathedral for the icons of hockey" had previously been closed to the public since January 1, 2012 for various improvements at a price tag of $1.7-million. The completion of the "Great Hall Renewal Project (2012)" coincided with the renewal of HHOF's principal lease at Brookfield Place through the year 2032. "Our association with Imperial Oil started in 1991 and has resulted in a successful marketing relationship for over 20 years," said Hay. "It's because of the outstanding commitment and on-going support of Imperial Oil that we are able to enhance our most pristine asset and focal point of the guest experience with the revitalized Esso Great Hall." "Imperial Oil and the Esso brand are pleased to be celebrating the 75th anniversary of the company's association with the game of hockey in Canada," said Bruce March, Chairman, President and CEO of Imperial Oil. "Imperial's proud support as a founding sponsor of the Hockey Hall of Fame and our sponsorship of the Esso Great Hall is a reflection of our dedication to the game. 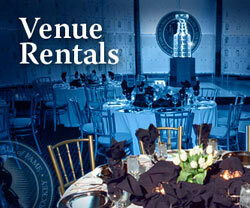 We sincerely hope the public will enjoy this fitting tribute to the great legends of hockey." 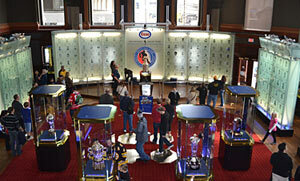 Housed within the historic bank building at the corner of Yonge and Front Streets, the Esso Great Hall features the re-design and re-configuration of the interior exhibition space for improved sight lines and visitor circulation, new custom-built trophy showcases, enhanced multimedia content in both official languages and recognition displays to accommodate future Inductees over the next 15-20 years.